brandflakesforbreakfast: Would you give up your phone for beer? Would you give up your phone for beer? For Meantime Brewing Company of Greenwich, London, UK, time IS their essence. In fact, they consider it the 5th ingredient of their beer — beer that takes 6 weeks to brew, taking advantage of traditional hand-crafted techniques as well as modern technologies. 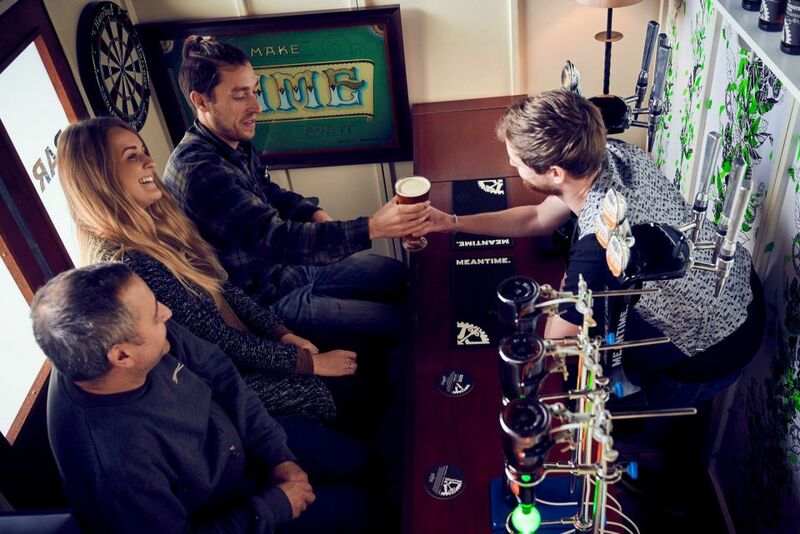 To dramatize this, they challenged 6 craftspeople from 6 cities across the UK to create bespoke elements for a tiny pop-up bar in just 6 weeks. In the meantime, the brewers created 6 custom beers to serve there, alongside two of their flagship brews. 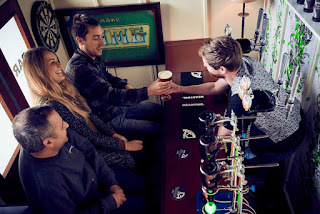 The “Make Time For It” campaign created an extraordinary drinking experience that allowed only three customers at a time to enjoy their beers — for free. The catch? They had to surrender their mobile devices at the door. Why? Because the Meantime brewers believe that nothing is more important than spending quality time with friends over good beer.